Does MMA deserve social acceptance? There is no doubt that MMA is on the up, but there are a number of barriers to overcome before it becomes socially acceptable, writes Fergus Ryan. Since Mixed Martial Arts (MMA) burst into sporting arena it has been battling hard to gain mainstream social acceptance, particularly in the US. However, MMA has more to offer society than critics would allow you believe. This is the oldest but easiest argument to punch holes through (pun absolutely intended). This accusation is a hangover from the bareknuckle, limited rules days when the pot-bellied, bar room brawler was a legitimate contender and nobody really understood the sport. However, MMA has cleaned up its house since those humble beginnings by embracing regulation and increasing the importance of fighter safety. To continue to peddle the myth of two men fighting to the death, that every MMA event is accompanied by a body count and that the spectators watch on with an insatiable blood lust, is simply displaying an ignorance of the sport. It is also hypocritical when you consider the violence on offer elsewhere. Professional wrestling has circumvented regulation by classifying itself as sports entertainment. Put another way, it’s sporting fiction pumped up on steroids. It has been responsible for more deaths by a multiple (in ring and out) than MMA, yet can be viewed on TV from dusk till dawn. Sledge hammers, chairs, bin lids, 2x4’s and wrestlers themselves from the top ropes can be seen bouncing off meaty, out-sized heads on numerous channels. What many don’t understand is that these hits actually happen. The matches may be fake but the hits are real. 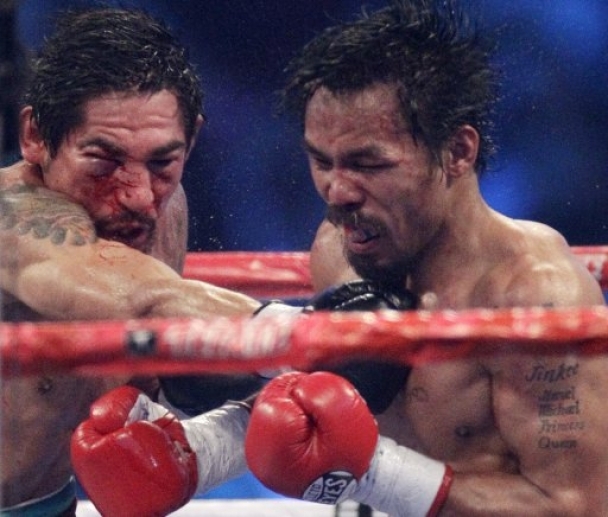 You will rarely see a prolonged beating in an MMA bout to the extent of the one boxers Miguel Ángel Cotto and Antonio Margarito received at the hands of Manny Pacquiao. 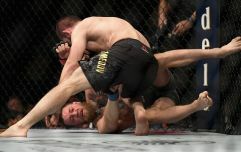 There are numerous ways to finish an MMA fight and although many go to the final bell, they are often brought to a swift conclusion. The variety of skills at the disposal of MMA fighters means they have tended to avoid the repeated, prolonged head trauma endured by boxers. In any case, MMA fights are generally limited to either three or five rounds against 10 or 12 in boxing. Also, an MMA fighter under pressure can generally take the fight to the floor. If the onslaught continues, referees are instructed to call the fight as soon as the fighter stops intelligently defending himself. In any case, a big KO, the most sought-after finish in boxing, doesn't carry the same weight in MMA - a submission finish in an MMA fight often occurs in the absence of spilled blood but is deemed as valid as a knock-out. This is not a criticism of Pacquiao or boxing, more an observation that violence, often with more serious health risks, already exists in sport for all to see. 2. It sets a bad example! In a world where there is an acceptance of professional footballers earning disgusting amounts to dive and feign injury to gain advantage on the pitch, it’s a little rich saying MMA sets a bad example. There is something inherently honest about two men getting into a cage with no teammates, rackets or balls to hide behind and competing with everything they've got. A bigger disappointment is how ingrained in life football’s bad example has become. Anyone playing FIFA 2011 on a games console will see players remonstrating with referees after blatant fouls and listen to a recently sacked Sky Sports pundit complain about how poor the referee is. Colleen Rooney dreamt during her school days of becoming “famous”. She probably thought her dreams had come true when her Wayne hit the big time. Unfortunately, now she has to put up with Rooney’s infidelity or face her family being taken off the gravy train that has been further enriched by his “toys out of the pram” style contract negotiations. Yet Rooney is the role model for kids taking part in the Sky TV series Street Striker. Hardly appropriate. To continue to peddle the myth of two men fighting to the death, that every MMA event is accompanied by a body count and that the spectators watch on with an insatiable blood lust, is simply displaying an ignorance of the sport. The dedication required in the sport of MMA is possibly the best example you could give anyone. MMA training is relentless. In addition to the time commitment of 2-3 hours a day, 4-5 days a week, there are dietary and social sacrifices - and that’s just the amateur fighters competing in local promotions. Because of the nature of the sport, it’s easy to tag MMA fans and fighters as meat-head thugs. Anyone who has spent time in an MMA gym will be aware that nothing could be further from the truth. MMA is based on the traditional martial arts of jiu jitsu, judo, boxing, Muay Thai and wrestling among others and at the bottom level, these are skills that are acquired through a continuous learning process and training. Many martial artists don’t compete regularly but enjoy the challenge of achieving the standard of the various belts in a quest for personal development. The same can apply for MMA. The training itself provides self-defence, self-confidence and an incredible level of fitness without any requirement to take a fight. 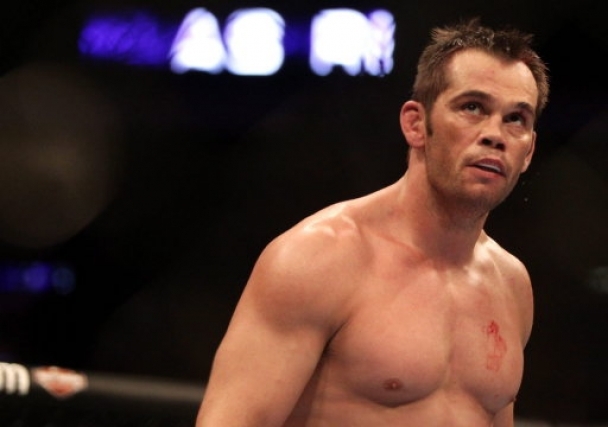 While not every MMA fighter is squeaky clean, their number include an ex-teacher in Rich Franklin, a fireman in Chris Lytle, a decorated army hero in Brian Stann, a law enforcement officer in Forrest Griffin and an engineer in Shane Carwin to name but a few. The vast majority are regular joes with a love of combat sports. In the US, MMA provides a viable career option for the collegiate wrestlers that don’t make the Olympics and who otherwise would be left with no outlet to continue after years of dedication and training. For those who have trained in the traditional martial arts, it allows them the chance to pursue a sporting life. 3. It's taking pleasure from the suffering of others! The physicality of MMA is seen as barbaric due to the perception around fighting in a cage. But the physicality in rugby is celebrated as it contributes to the excitement. The main differences are the settings and the understanding of the sport. Two men stripped to the waist in a cage seems more sinister than 15 men in colourful kit on a pitch. But an MMA fighter has the option to submit or “tapout” at any stage, thereby ending the fight. Rugby players often don’t have that luxury. Substitutions in rugby can be tactical but are often as a result of injury. Professional wrestlers have long been considered sporting heroes by young males. However, we don’t often hear about the darker side of the ‘sport’. WWE stalwart Chris Benoit committed suicide after killing his wife and seven-year-old son in June, 2007. The murder/suicide was initially considered “roid rage” after Benoit’s years of ingesting performance-enhancing drugs. However, another tragedy was revealed following tests conducted by the head of neurosurgery at West Virginia University. Results showed that: "Benoit's brain was so severely damaged it resembled the brain of an 85-year-old Alzheimer's patient." Casting the suffering net even wider, the level of brain damage Benoit had suffered was similar to some retired NFL players, also tested, who had suffered multiple concussions. Many wrestlers are willing to endure this level of punishment while they can make a steady pay cheque. In addition to the brain trauma, a Google search of ‘dead wrestlers’ will reveal an alarming number of 30 and 40-year-old pro-wrestlers dead from heart related issues after years of substance abuse. Whether it’s classed as a sport or not, the suffering pro-wrestlers endure is more real than its matches. 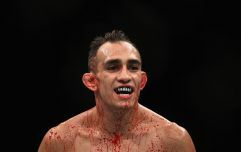 The physicality of MMA is seen as barbaric due to the perception around fighting in a cage. But the physicality in rugby is celebrated as it contributes to the excitement. The sport of horse racing causes hundreds of deaths each year, although admittedly, most of them aren’t jockeys. But does that mean the suffering doesn’t count? Boxing allows standing eight counts to fighters who’ve been knocked down, thus prolonging a beating to a struggling fighter. A solid knock-down is often enough to finish a fight in MMA. MMA is still in its infancy and yet to be fully understood. In MMA, the referee can end a fight at any stage based on a fighter not being able to intelligently defend themselves. When you couple this with the tapout, you begin to realise that the suffering can often be minimal in an MMA fight. The sports of soccer, rugby and boxing have been used in this discussion, but not to cast them in a bad light. They have been used merely to highlight that these sports are available on television almost nightly, and hypocritically contain some of the features similar to the objections pitched against MMA. Mainstream media should not ignore MMA in Ireland any longer. JOE recently interviewed a UFC executive who said that, based on previous experience, the franchise would be returning to host a second event on our shores. When UFC 93 was held in Dublin in January 2009, it was the promotion’s fastest selling event in Europe at that point. Only scheduling issues have prevented an earlier return. The growth experienced in recent years suggests MMA won’t remain under the radar for too much longer. 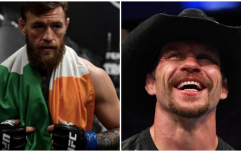 Ireland has a flourishing MMA community and those active in the sport will remain so whether MMA is on primetime, free to air TV or not at all.